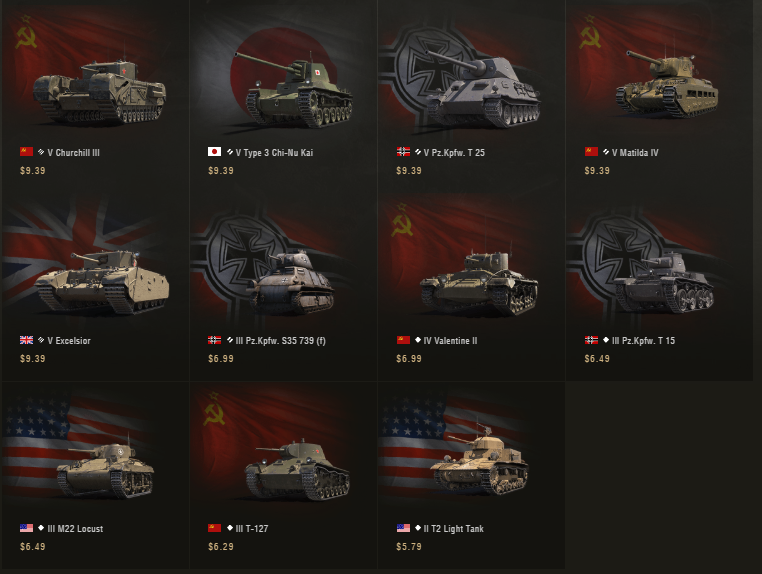 Gallop on down to the best Used tank Emporium in town for major deals on your Favorite Tanks. With an interior that mimics a favorite and memorable sports car you will sure be the envy of the battlefield. If you are unfamiliar with the tank; it has a unique Auto Reload system that increases reload after every shot individually. With this you can fire one shot and keep a roughly 8 sec reload or fire two for a 17 sec reload, or all three for 29 sec reload. Since you can reload and still fire shells it allows the tank to be more adaptable. If you are a fan of Italian Tanks then stay tuned for our on track missions featuring them. This event is scheduled for 17Oct. For more information on the tank sale click on the Pic above. in the title,does it come with it or are we being lied to? Edited by Vulcan_Spectre, Oct 11 2018 - 17:17. No it doesn't come with a single Spaghetto. I was going for a Tomato, Tomahto rhyming thing. I need to know more information before I buy this used tank. How's the transmission, is it fine, or does it replacing? How are the brakes? Was it in any accidents If so, how many and how serious was it and how recent? What's the mileage on the tank? These are all serious questions that need to be answer before I put my hard earned money into a used tank. I'm still waiting to buy this with gold in the in-game store. 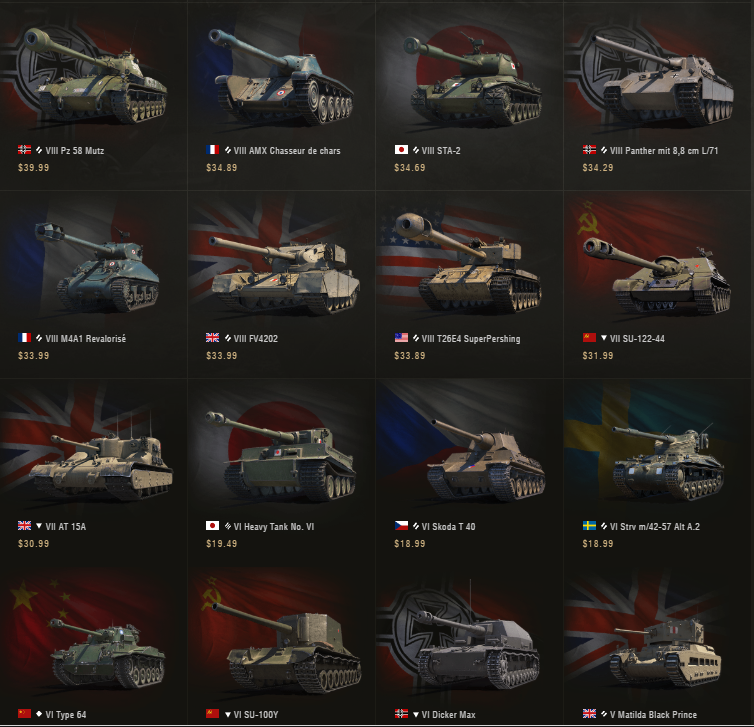 It used to be that the first premium in a new nation would be added to the tech tree 1 patch after the tech tree was introduced. 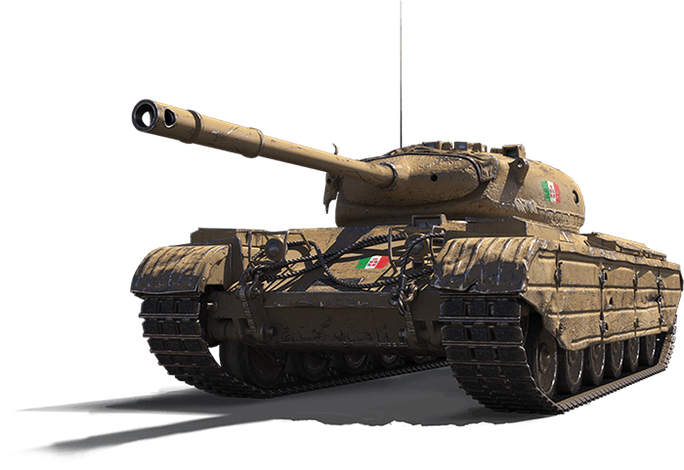 This is still the only Italian premium, so why isn't it in the tech tree? I am new player, I do not get to play very often. I had a game today in which it seems I earned a 30% Discount Voucher. I was excited so I headed over to the premium shop to find that everything I tried to buy were excluded by this. "with the exception of special offers, discounted items, and time-limited offers"
The above statement excludes almost anything worth purchasing. I have watched streamers play the Progetto, it looked like fun so I tried to purchase the non discounted offer. The offer is not discounted... it is time limited so War Gaming is raising its middle finger to this new player who was about to spend money. At least I wont get experienced players abusing me for buying my way to higher tiers as I wont be doing that. I am glad I have learnt early that War Gaming are this arrogant. They have tried to encourage this new player to spend money. This player was actually excited about the prospect and tried to spend money, only to be denied by the very same people who tried to encourage him. So to you War Gaming I say, you would have just now sold a digital product to this player and believe me I tried. I tried adding various items to my cart only to be denied every single time by "with the exception of special offers, discounted items, and time-limited offers". Thanks War gaming, thanks for nothing! I am sure it is loads of fun, I tried to buy it but I am not now. My 30% Discount Voucher expires in 7 days and I will let it expire because of ridiculous fine print. 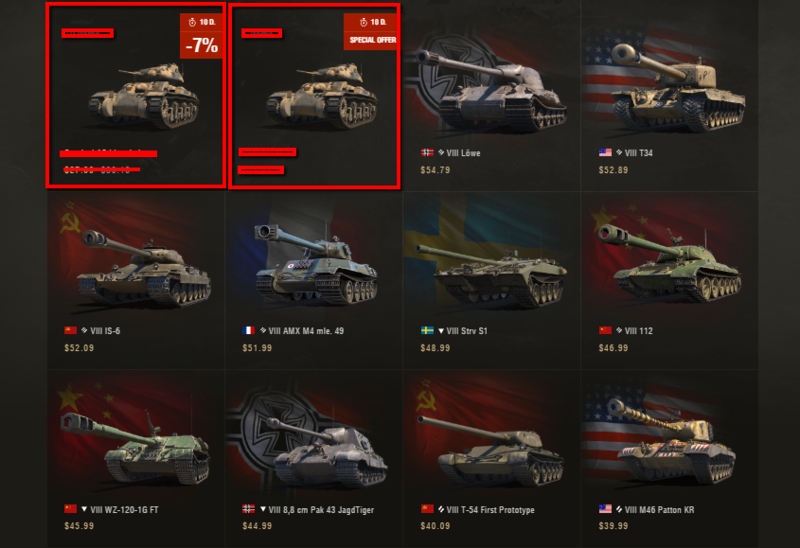 The tanks outlined in red on the first pic don't qualify for the coupon, but the others like the 112 or the Super pershing just received buffs as pref MM tanks. More information on those buffs can be found HERE. The E 25 was in the tech tree for a while. It was causing game imbalance so that is why it was removed. According the game stats the Proghetto M35 Mod. 46 is the second most played game with the Skorpion G being in first place. I am sure putting those in the tech tree would cause another imbalance. Nice try, that is not what i wanted. I even tried to purchase the NON DISCOUNTED offer. You didn't want my money so I will keep it. I do not play enough to buy products I do not want. It is all good. I will just keep my money. how about fixing the preexisting problems with this game?!?? like logging in?!?!? I am not having an issue logging in. I recommend submitting a ticket to our support team so they can look into this issue. I had to re-boot my computer before I could log in this morning. I think the micro patch might have messed up the log in link. Any word on this tank being added to a tech tree? I've read about it somewhere.. I also saw some screenshots from the test server where it already found its way to the tech tree.. but on the live server, the patches keep coming, but Progetto is still hiding somewhere.